Product Details - Material- Rope , Suitable -Large Breed, Size- Large (63 cm), Colour- Attractive in color, Use-Fits in the mouth easily. 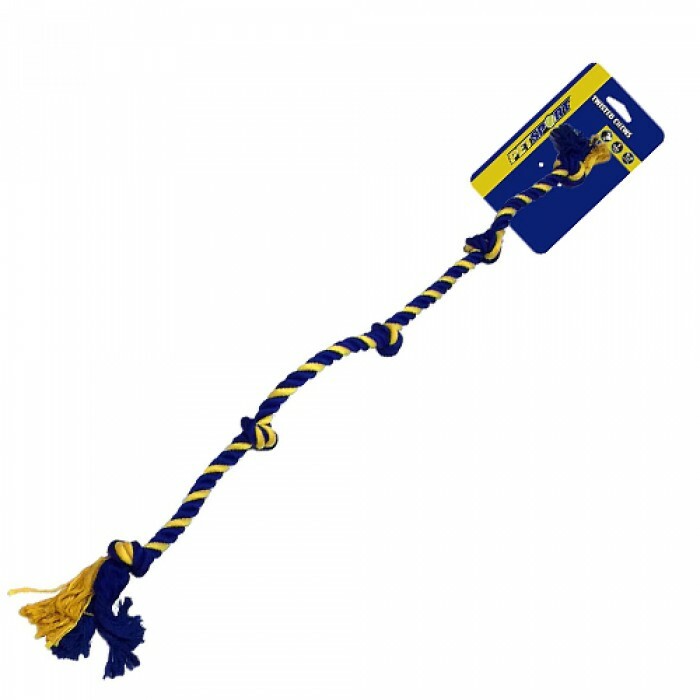 Product Information - Petsport is company dedicated to providing the very latest in Pet toys that encourage exercise and stimulate the bodies and minds of pets and the people that love them. Petsport makes products that are safe not only for pets, but more importantly the children that play with those pets. Braided rope made of durable cotton (1st class).There are many different floss ropes and toys on the market, but none this strong. With a dog-friendly TUFF tennis (extra thick wall) and Extra chewing fun.